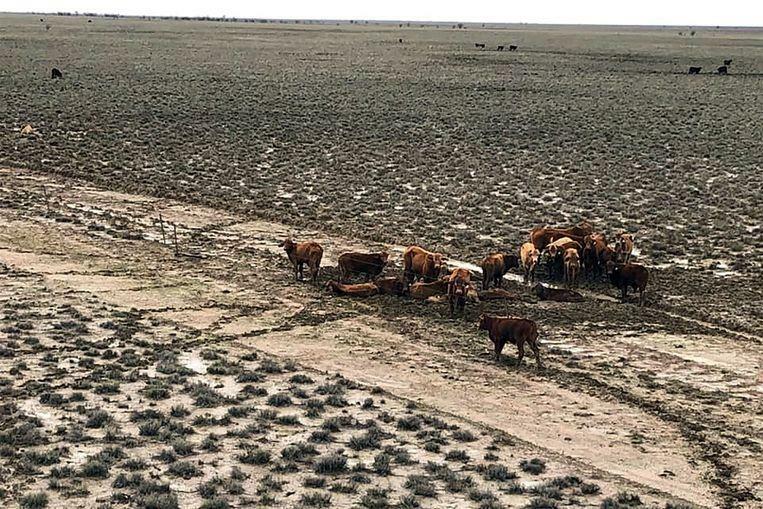 In some areas in the Australian state of Queensland, the same amount of precipitation has fallen in just one week as normal in a whole year, and that has left its mark in the outback. 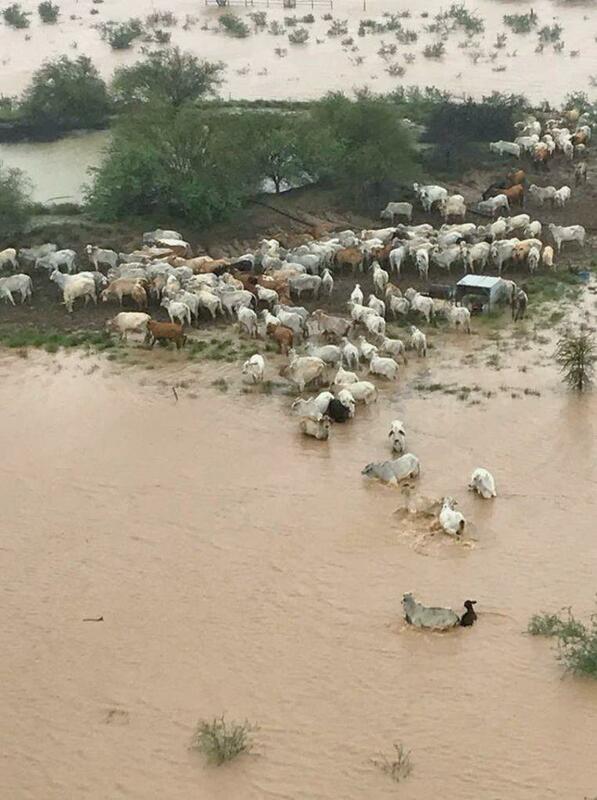 The authorities fear that an estimated 300,000 cattle have not survived the floods. 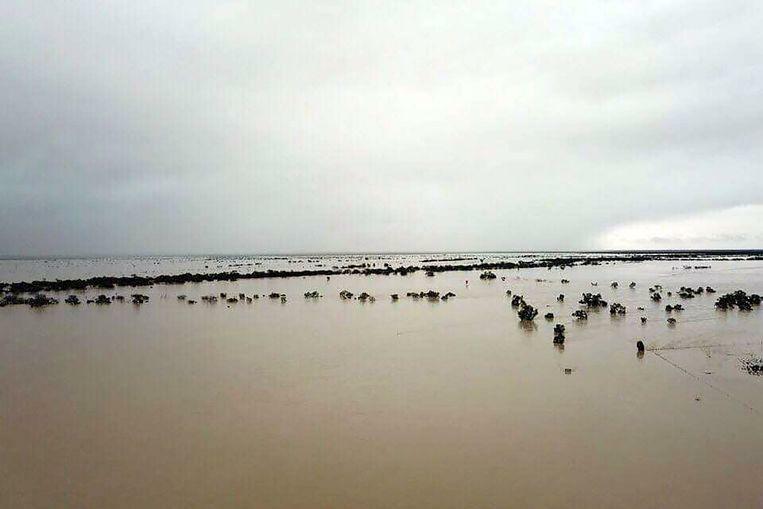 In the vicinity of the coastal town of Townsville in north-eastern Australia, one meter of water fell within a week, twenty times as normal as this time of the year. The Ross River had risen to a dangerous level and the lock gates of the Ross River dam had to be opened. This led to “unparalleled” flooding. Two people were killed and 1,100 others had to be evacuated. According to the Australian Associated Press news agency, an estimated 300,000 cattle with a total value of 300 million Australian dollars (converted 187 million euros) were killed. 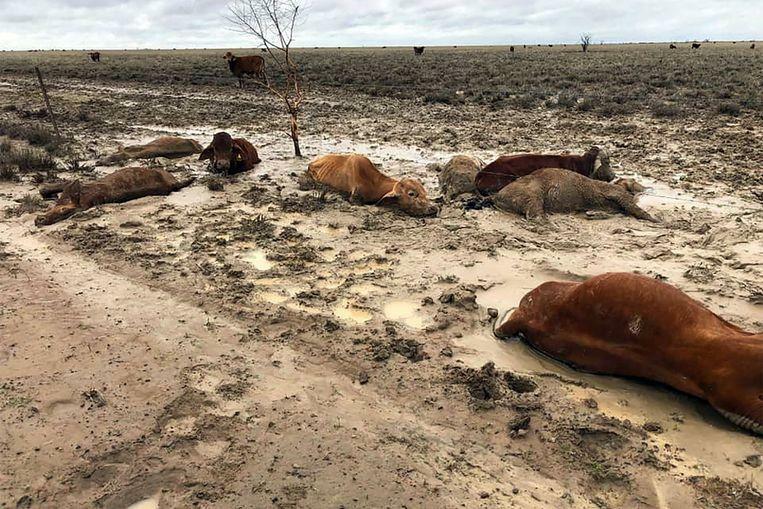 ©AFP – Dead cows near Julia Creek in the state of Queensland. On pictures you can see how cows are stuck on meadows surrounded by water or how they found death and lie lifeless in the mud. ©AFP – Overflow area near Julia Creek in the state of Queensland. 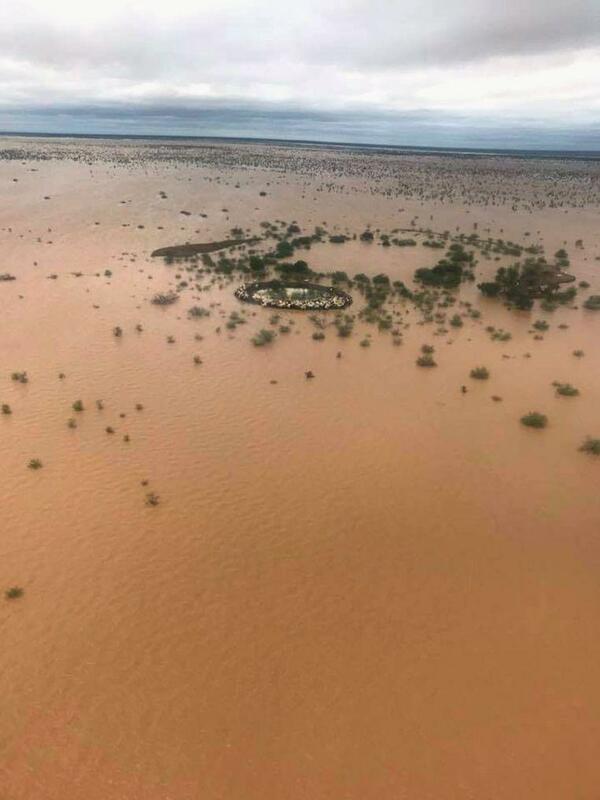 Annastacia Palaszczu, the Queensland Prime Minister, said she witnessed a “sea of dead cattle” as she toured through part of the flooded area. “Your stomach turns away when you see all those dead animals and all that are suffering,” she said. 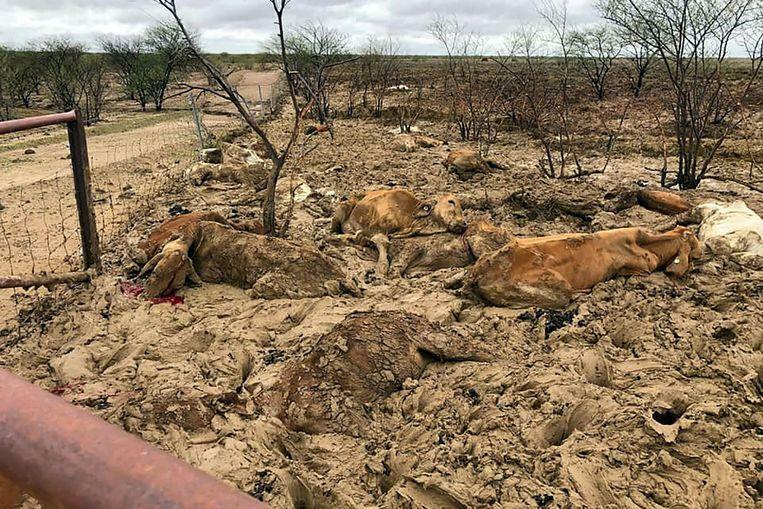 ©AFP – These cattle survived near Julia Creek. 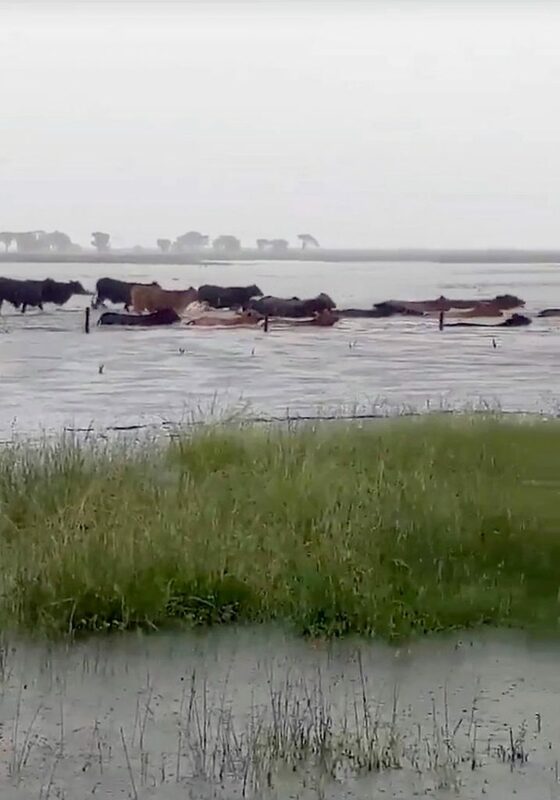 The authorities are planning to drop hay bales for the surviving cattle that have been stranded in the flooded areas. Farms involved are eligible for a subsidy of up to 25,000 Australian dollars (over 15,000 euros). ©REUTERS – Thousands of cows are still stranded on a piece of meadow surrounded by water. ©REUTERS – Cows run their way through the water in Proserpine (Queensland).